Did some of our classmates travel from the Pacific Time zone to the Mountain time zone to attend Weber High school? Strange as it may seem, during our High school years, the line between the two time zones followed the railroad tracks through Weber County. Though few people were aware of it at the time, many lived in the Pacific Time Zone. 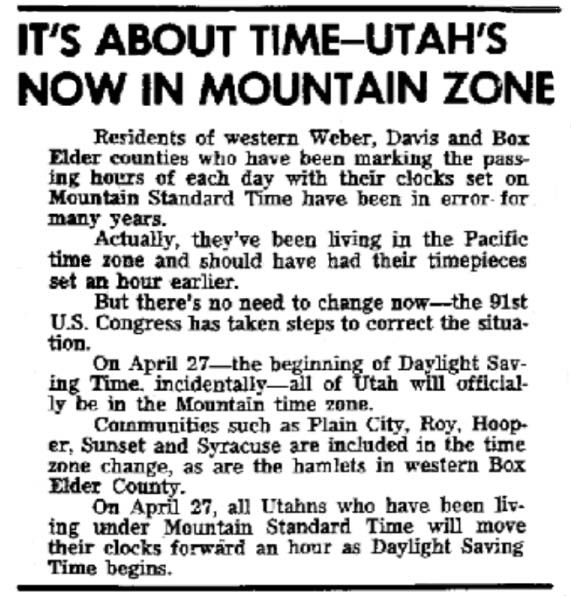 On April 27, 1969 the line was officially changed to the state line placing the entire state of Utah in the Mountain Time Zone. Brigham City had a radio station broadcasting at 800 khz on the AM Radio dial. 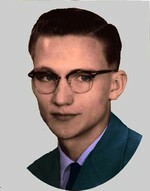 The station was located on Forest street just a few hundred yards west of the railroad tracks. 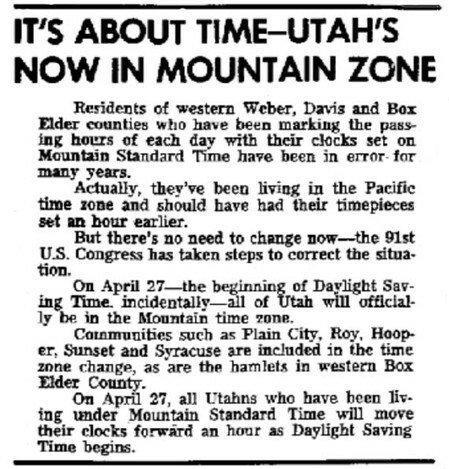 All on-air time announcements were Mountain time, but by FCC rules the operators had to use Pacific time for all reports and logs.